If you’re like most Americans, you own a smartphone. They’ve changed the way we access information and made it easier for truckers to do their jobs. There are now dozens of apps for truck drivers to assist with everything from navigating traffic to staying connected with friends and family. 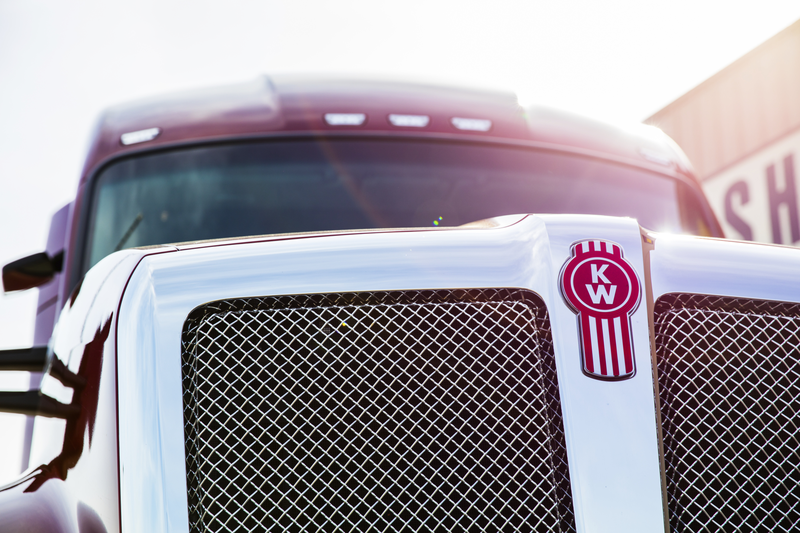 Kenworth Dealer Locator – A simple app to get contact information and driving directions for Kenworth dealer locations nearby. Extremely useful for urgent, mid-route service needs. Trelp – This Android app is a crowdsourcing platform designed specifically for the trucking industry . Drivers can share information on everything from untraditional parking spots to last mile directions. There are even smart notification about the status of upcoming weigh stations. Don’t worry iPhone users: an iOS version is expected to arrive in 2018. Trucker Tools – This app from Overdrive is available for both iOS and Android devices. It provides truck drivers with helpful information including where to find the lowest diesel prices, the location of the nearest truck stop, and the best truck routes to your destination. Drivewyze – Turn your smartphone into a “smart transponder” with this app that lets drivers legally bypass weigh stations and inspection sites. There is a $15.75 monthly fee to use the app which is available for iPhone or Android devices. NOAA Radar Pro – Know the weather ahead and plan accordingly with this helpful weather app for iOS. High resolution interactive radar maps make it easy to see weather on your route. Waze – This crowdsourced GPS app can help drivers determine the best route to their destination based on user input of traffic conditions, accidents, and road hazards. The app is not specifically built for truckers, so drivers should be careful to avoid suggested routes closed to commercial vehicles. Uber Freight – Like Uber for cars, this free app helps match carriers with loads. Most available loads are still based out of Texas, but as coverage grows, this app could be a game changer for owner-operators. MyFitnessPal – Eating healthy and staying fit can be a challenge on long hauls. MyFitnessPal helps you keep track of calories consumed and calories burned. OverDrive – Use your time on the road to listen to audiobooks—for free. OverDrive app creators partnered with libraries throughout the U.S. to provide free access to up to 15 titles at a time. All you need to get started is a valid library card! Imo – Keeping in touch with family and friends is easier than ever with video chat technology. Imo is a free video chat app for Android devices. FaceTime is a great built-in option for iPhone users. Did we miss your favorite app? Send us a message on Facebook or Twitter and let us know! Check out our blog to read more helpful resources for truck drivers.